An unidentified suspect remains at- large. Legazpi City, [12.01.18] – A Philippine Navy personnel was shot dead on Friday afternoon in Binodegahan, Pio Duran, Albay, a police report said. According to a report reaching Camp BGen. Simeon A. Ola the victim Senior Chief Petty Officer Jesus Jacinto Zaavedra, 55 years old, married of Caratagan, Pio Duran, Albay was shot dead on his way home at 4:10 o’ clock in the afternoon. 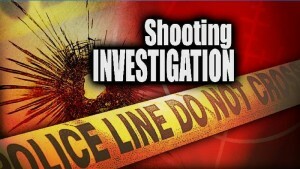 The victim sustained fatal gunshot wounds on his body. An unidentified suspect fled after the incident and Pio Duran Municipal Police is still conducting an investigation on the incident, the report ended. The victim is presently assigned at the Naval Forces Southern Luzon in Rawis, Legazpi City. Meanwhile, a bystander Dennis P. Cantor of Barangay Maroroy, Pio Duran was hit by a stray bullet on his leg and was brought to the hospital.